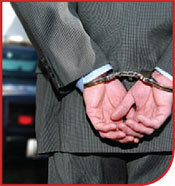 There are few hard and fast rules in white collar crime investigations and prosecutions. Accordingly, our focus in this class will not be on simply learning and memorizing rules. Rather, this class seeks to introduce students to a variety of topics and issues in the white collar crime area. Specifically, this course will review the debate regarding the definition of white-collar crime, overview the costs of white-collar and corporate crime to society, consider the use of economic and criminal sanctions to deter the misconduct of white collar criminal offenders, and explore other possible means of preventing the commission of white collar crimes. Provide examples of behavior generally characterized as white collar criminal activity. Explain the effect of white collar crime on society. Describe various laws enacted to deter the commission of white collar criminal activity. Explain challenges associated with the prosecution, defense, and adjudication of white collar crimes. Discuss the state and federal enforcement agencies and officials charged with policing and regulating white collar crime. Describe the concepts of criminal and civil liability and how they relate to the area of white collar crime. Explain challenges affecting the justice system's response to white collar crime.